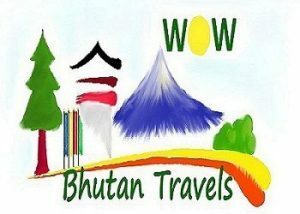 The Bumthang Cutural Trek explores the highlights of the Bumthang valley, the religious heartland of Bhutan, and home to some of its oldest Buddhist temples and monasteries. This gentle three-day trek is perfect for the average trekker, and is especially recommended for lovers of nature. This trek also features a cultural tour through the beautiful western valleys of Paro, Thimphu and Punakha. Traverse beautiful landscapes from lush meadows and valleys to dense forests. You can walk through the Thimphu Market to see the variety of food of Bhutan, including basket upon basket of fiery chillies, cheese and a variety of greens. (This market is open only from Friday-Sunday). Overnight at your hotel in Thimphu. Drive from Thimphu to Trongsa (7-8 hrs) over the Dochu-La pass (3,100m) and Pele La pass (3,420m) on the Black Mountain range. Enroute visit beautiful Chendebji Chorten. The Chorten was erected in the 18th century. The imposing Trongsa Dzong can be viewed across a deep canyon to signal your approach to the town around a curving road. Trongsa is the ancestral home of Bhutan’s ruling dynasty. Overnight at your hotel in Trongsa. Visit Trongsa Dzong, the largest Dzong in Bhutan and the Ta Dzong museum housing a collection of historical artefacts of the Royal Family. Afterwards proceed towards Bumthang (2.5 hrs), the spiritual heart of the kingdom. Bumthang is home to some of Bhutan’s oldest Palaces, Buddhist temples and monasteries. On arrival, visit Jakar Dzong (Dzong of the White Bird) and 16th century Tamshing Lhakhang containing ancient Buddhist wall paintings. After lunch visit Kurje Lhakhang, one of the most sacred places in the kingdom and 7th Century Jambay Lhakhang. Overnight at your hotel in Bumthang. The trek begins today. The route follows the Chamkhar Chu (river), taking us through meadows, forests of blue pine and scrub bamboo. We will pass by many villages and temples on this relaxing and easy day. Overnight at Farm House. Altitude 2900m. 19km, 7 to 8 hours. The trail ascends gradually through juniper forests towards Phephe La Pass (3360m). From there the path descends to Tang valley, finally arriving at Ugyencholing village (2850m). Overnight at Guesthouse. Altitude 2670m. The trail ascends gradually through juniper forests towards Phephe La Pass (3360m). From there the path descends to Tang valley, finally arriving at Ugyencholing village (2850m). Camp overnight by the side of the river near village. Altitude 2670m. In the morning, walk up to 16th century Tang Ugyencholing Palace, a beautiful private mansion which also houses a small museum containing an excellent overview of traditional rural life in Bhutan. On the way back we will visit the Mebartso (The Lake of Fire). It is here that Terton Pemalingpa (founder of the Nyingmapa sect) is said to have found treasure hidden by Guru Rimpoche in the 15th Century. He retrieved the treasure carrying a lamp which continued to burn even after being plunged into the freezing water. Legend says the key to Shangri la will be found here someday. This lake is very sacred, and on auspicious days many Bhutanese people go there to make butter lamp offering. Overnight at your hotel in Bumthang. After breakfast, depart for Punakha, the ancient capital of Bhutan. On arrival enjoy a stroll through the Punakha township. Overnight at your hotel in Punakha. Visit Punakha Dzong, built in 1637 by the Shabdrung, the ‘Unifier of Bhutan’. It is situated at the confluence of the Mo Chu and Pho Chu (Mother and Father Rivers) and is the winter headquarters of the Je Khenpo and hundreds of monks who move en masse from Thimphu to this warmer location. The three story main temple of the Punakha Dzong is a breathtaking example of traditional architecture with four intricately embossed entrance pillars crafted from cypress and decorated in gold and silver. It was here in 1907 that Bhutan’s first king was crowned. Afterwards drive back to Thimphu where you will have an opportunity to visit handicraft and souvenir stores. Afterwards proceed to Paro. Overnight at your hotel in Paro. In the afternoon drive to the ruins of the 17th Century Drukgyel Dzong, built to commemorate a victory against invading Tibetans in 1644. In fine weather the towering peak of the sacred Mount Jomolhari (7314m) appears as a stunning backdrop. On the return drive to Paro, visit 7th Century Kyichu Lhakhang, one of the 108 temples constructed by the Tibetan king Songtsen Gampo.Alternatively, day 10 could be spent on a day trip to the Haa Valley, one of the most picturesque districts in Bhutan. Reached via the beautiful Chelila Pass, Haa Valley is characterized by its surrounding rugged and mountainous terrain. Overnight at your hotel in Paro.